One of New Baltimore's most prominent citizens and business owners, Gilbert Hatheway, left the village $15,000 when he passed away in 1871. After a dispute was settled between the family and the village over the funds, the three-story Hatheway Institute was built in 1876. 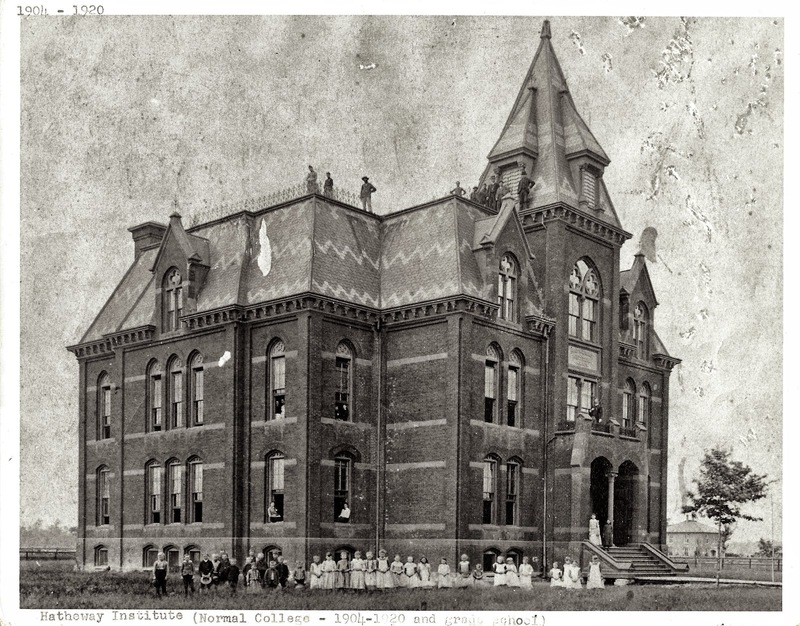 The Hatheway Institute provided grade school through college class and had a gymnasium on the top floor. The Anchor Bay basketball team had the home advantage due to it's infamous support posts in the middle of the court. The 82 year old school was declared unsafe and dismantled in 1958. The city then erected the a municipal building and fire department on the site. The Baker Building was built by Peter Schaars in 1868. Peter Schaars sold dry goods, clothing, medicine, and groceries from his store. 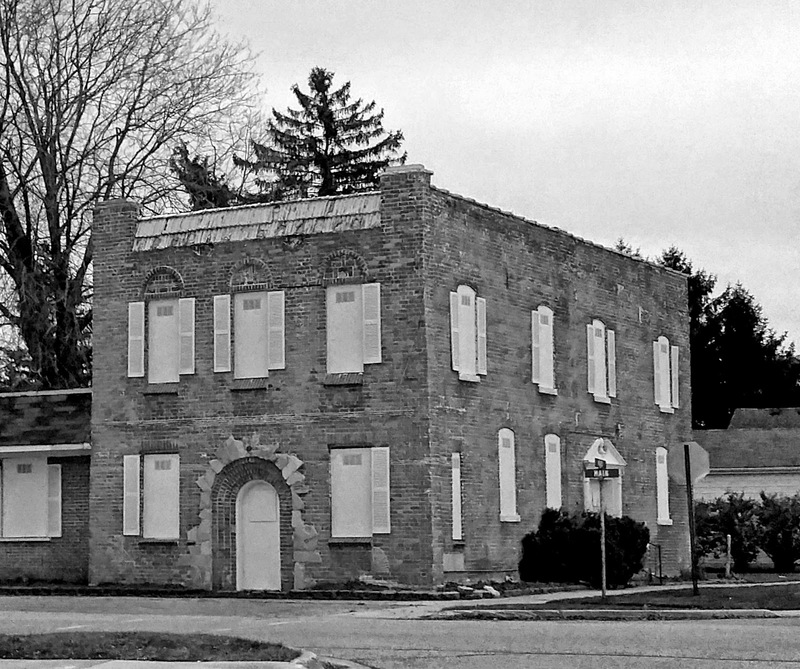 Schaars also served as the local postmaster from 1867 to 1870, when he sold the building to William Baker Sr. for $4,000. The building was thereafter known as the Baker Building, who's family's businesses used the building for over 100 years until 1979, selling everything from petticoats to potatoes. 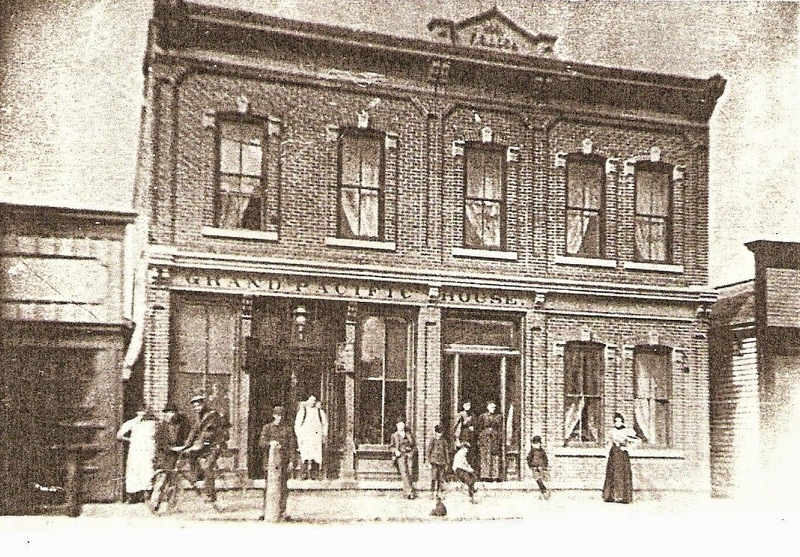 In 1920, the building was partitioned and many other businesses occupied the location, including American (Hensel's) Bakery, Ashley's Sweet Shop, and Stahl's Famous Original Bakery. 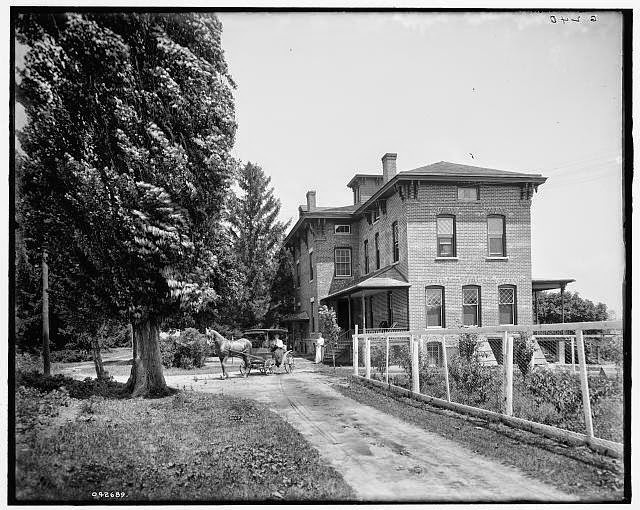 One of New Baltimore's most prominent citizens, Gilbert Hatheway, built this mansion in 1860 on what was once known as Cemetery Street (24 Mile). Gilbert's son, James, inherited the house after his passing. 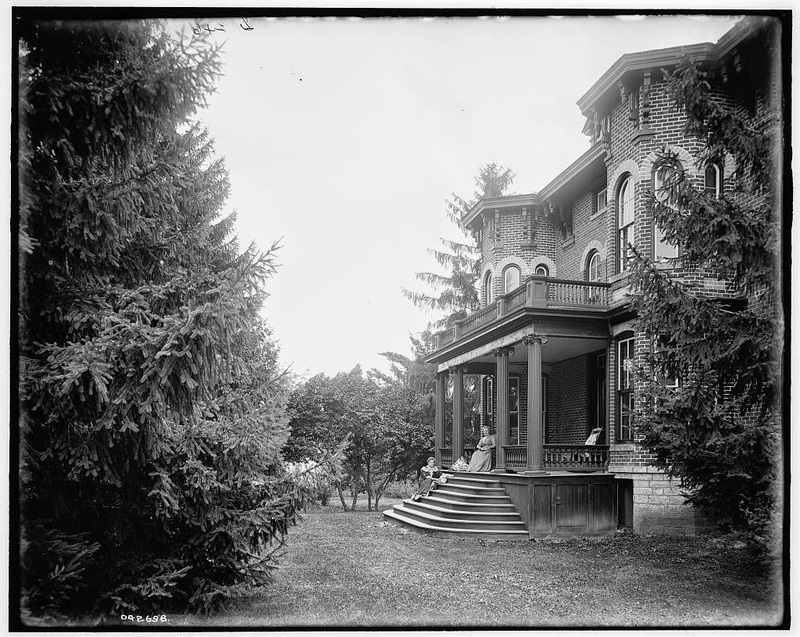 After the home left the Hatheway family, it was used as a bed and breakfast known as "The Firs", managed by Abby Tillotson. The west part of the building was used as a hospital with Dr. Virginia French residing. It was later divided into apartments. Ownership changed hands several times over the years, and by 2003, the city had to issue violations to urge the previous owner to bring the structure up to code. In addition, rumors of paranormal activity and hidden money caused the house to fall victim to illegal entry and vandalism. Contrary to the stories, this home was never used as a mental institution or insane asylum. The structure was declared a public nuisance in 2004 and was demolished in 2005. One of New Baltimore's finest hotels, the Grand Pacific House was constructed in 1881 for Frederick C. Losh and open to the public in 1885. Sadly, it is the only hotel that remains today. Supporting the building is a deep foundation of large chunks of limestone which were shipped to New Baltimore from Kelly's Island in Lake Erie near Sandusky, Ohio. Over this limestone foundation, local bricklayers August Maliskey and David Blay constructed the two-story building.The building consisted of a saloon, hotel lobby, dining room and a kitchen on the first floor, and eight bedrooms on the second floor. About 1910, the Grand Pacific House began to decline and lost its hotel character, becoming a boarding house and later a residence for various family members. During the 1920's, Herbert Losh, a relative, transformed the saloon into a soda fountain and candy store. In 1927, Ed Maliskey took over the business and converted it into a hardware store, a business he had until his death in 1972. 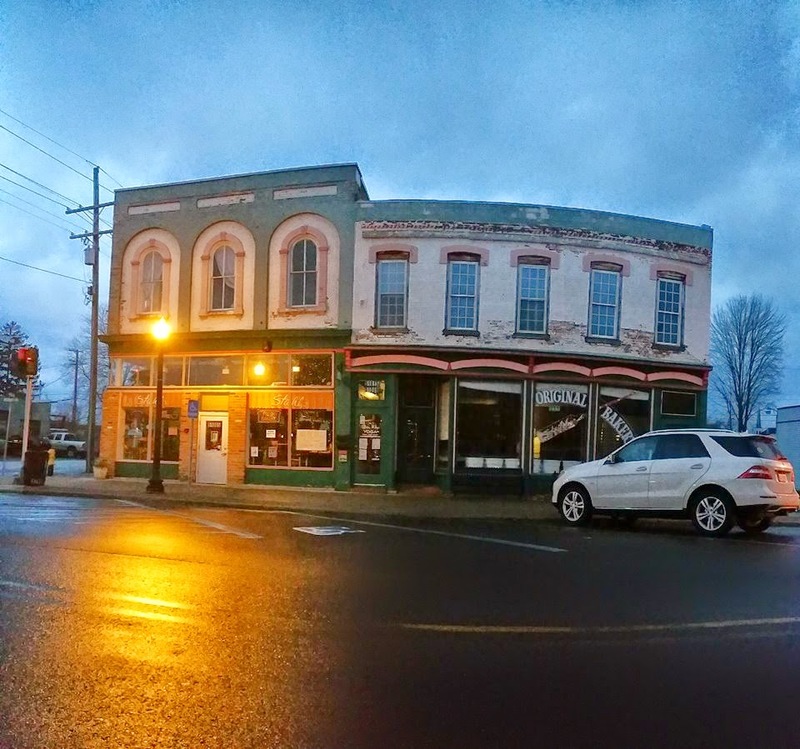 Since then, the building has housed a variety of businesses. The New Baltimore Historical Society purchased the building in 1986. Proudly in 1996, the Grand Pacific House donned its Michigan State Historic Marker. The restoration process continues as the beautiful Grand Pacific House lives on. Louis Kleehammer (1855-1916) developed this property where John Kleehammer operated a saloon around 1910. Some time in the 1920s, Frank Christie moved into the building and used it as Funeral Home. Christie later purchased the property from Kleehammer. It had been a funeral home until the mid 2000's. In 2018 work began to rehabilitate the property. 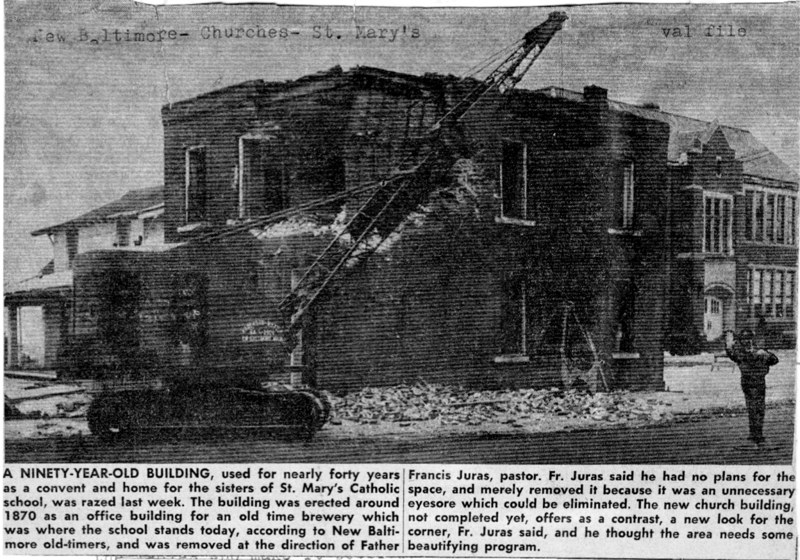 The garage (which was added on in the early funeral home days) was demolished and a new two-story business/residential structure was built adjoining it. 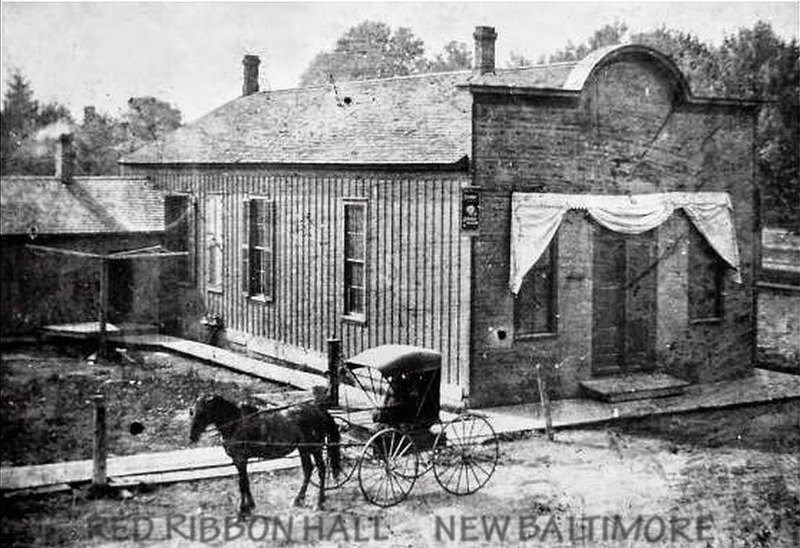 Before Kleehammer's Saloon was built, this corner was home to the Red Ribbon Hall. Local townspeople came to the hall for dancing, partying, watching shows and plays. It was also a meeting place for local Masonic groups. 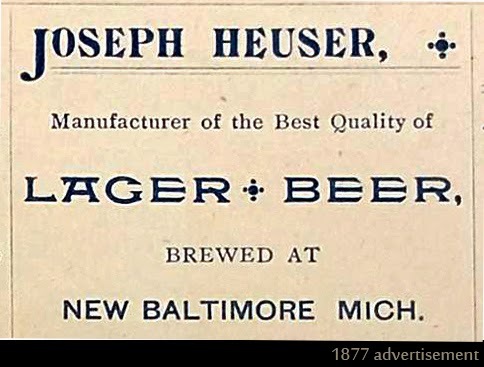 The Joseph Heuser Brewery, owned and operated by Henry Heuser, produced lager beer between 1874 and 1897. The brewery once occupied the entire block off of Main Street between Maria and Base Streets. When some of the brewery buildings were demolished in 1926 to make way for St. Mary's School, a skeleton was found in the basement during excavation. Forensics determined that the bones to be those of Charles Wanke, a saloon owner who went missing 40 years prior. 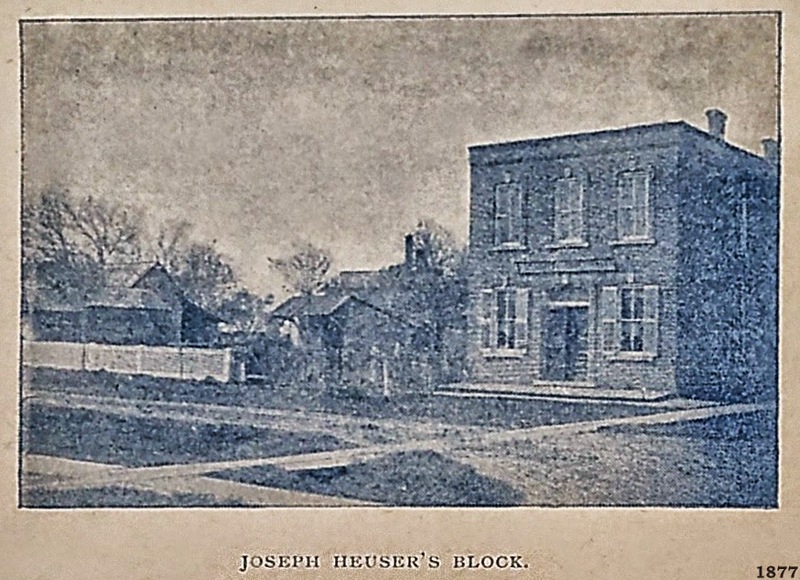 The last of the former Heuser buildings were demolished in 1963. 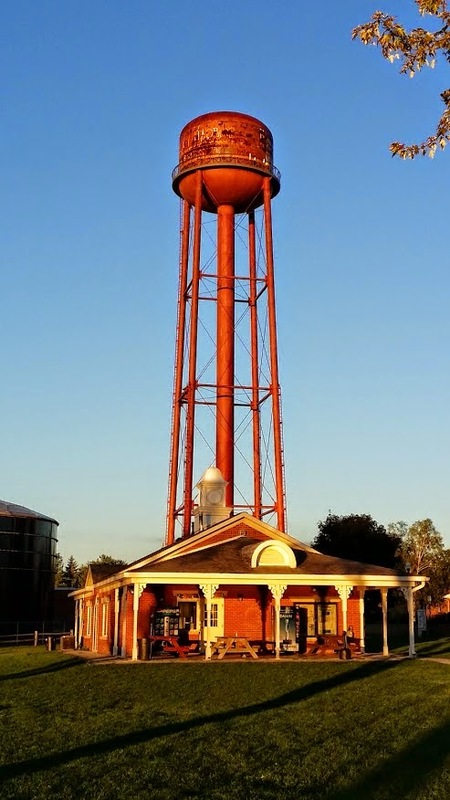 Once emblazoned with "History Harbor, New Baltimore", the New Baltimore Water Tower was erected in 1948 by the Chicago Bridge and Iron Works for the winning bid of $25,000. It is 147ft tall and has a capacity of 100,000 gallons in the main tank, plus 18,000 gallons in it's riser pipe. The tower had been out of active service since 1994, and was demolished in 2016. 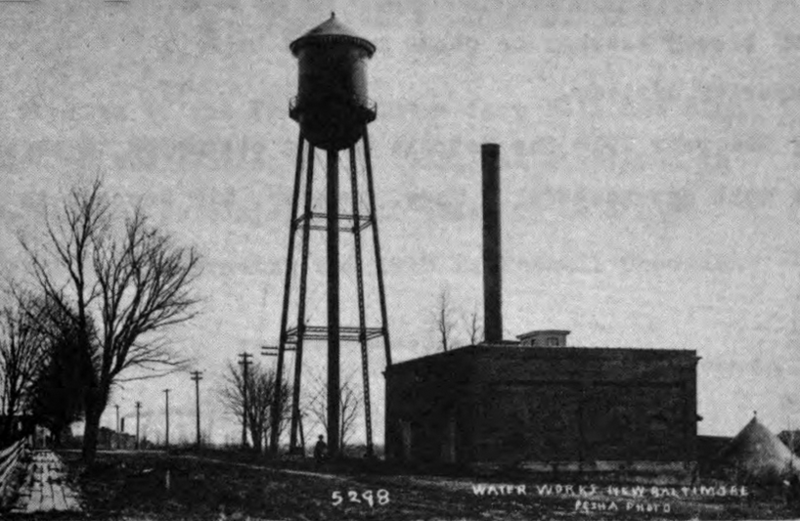 This tower replaced the prior water tower that was erected in 1902 and demolished in 1953. 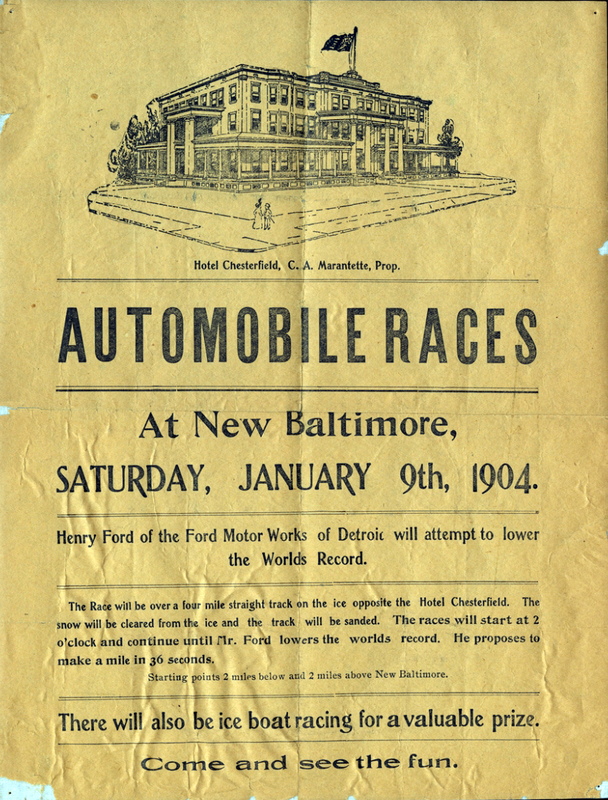 In January 1904, just 6 months after launching the Ford Motor Company, Henry Ford brought one of his two 999 racers, the Arrow, to New Baltimore to promote his new business. The Ford 999 was powered by an 18.9L Inline 4-cylinder engine with a bore of 7.25 inches and a stroke of 7 inches, producing 70-100 Horsepower. A track was carved into the ice in preparation for the event. 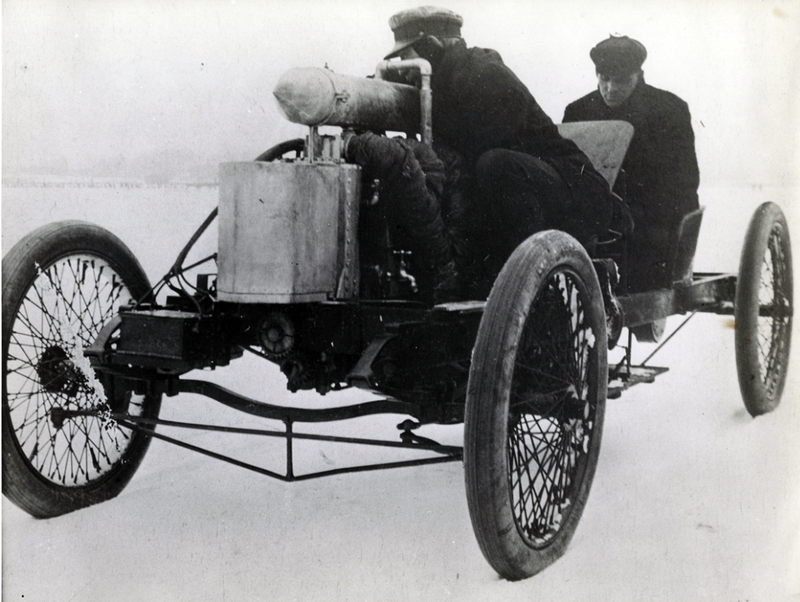 With Henry Ford steering and his mechanic Spider Huff riding atop the engine operating the throttle, a new speed record was set when the 999 was clocked at an average of 91.37mph for the last mile of the bumpy course. Henry Ford celebrated afterwards at the nearby Chesterfield Hotel with a muskrat dinner.